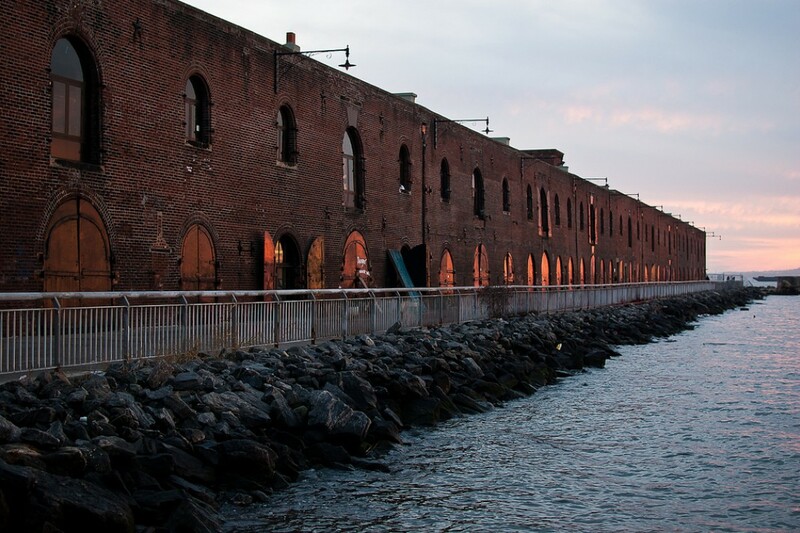 Civil War-era warehouses line Red Hook's waterfront. Looking for a neighborhood with an artsy vibe that feels a bit removed from the city's frenetic pace? Try Red Hook. 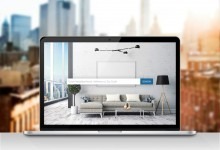 In this week’s Buy Curious, Danelle Davis of Citi Habitats and Matthew Steer of Keller Williams Tribeca break down what's available there in the way of apartments and houses for sale, and what makes the waterfront neighborhood tick. I love the idea of living by the water in Brooklyn. What’s Red Hook like? How pricey is it? What’s available there? Another defining feature: “Red Hook’s lack of public transportation has kept the neighborhood secluded from the pace of development that most of Brooklyn and Manhattan have experienced,” Steer says. Recently, though, manufacturing space in Red Hook is being converted to offices, retail, restaurants, and several new residential developments. Red Hook, Brooklyn, is a peninsula that's less than one square mile, and is bordered along the waterfront by the harbor and the mouth of the Gowanus Canal. It is cut off from the rest of Brooklyn by the Gowanus Expressway and Hugh L. Carey Tunnel entrance. The area was named for its red clay soil and the shape of the peninsula. The neighborhood is home to nearly 11,000 people, more than half of whom live in the Red Hook Houses, the largest public housing development in Brooklyn, which sits on 38 acres. 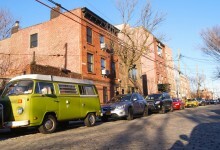 Steer says that the area attracts people who “like to live off the beaten track,” including artists, celebrities, “and people who just like the area's "industrial funk.” He adds that in recent years, many who were priced out of neighborhoods such as nearby Carroll Gardens turned to Red Hook to save money. “But those days may be over because of Red Hook’s increasing prices,” he says. Housing inventory in Red Hook has been limited historically because much of neighborhood was zoned for manufacturing, and because it is relatively small. “There are usually just a handful of homes for rent or sale on the market at any given time here,” Davis says. There isn’t much in the way of new construction, either. But Davis notes that a few new residential projects are currently selling, including 160 Imlay, The New York Dock Building and King and Sullivan, a collection of 22 new townhouses at 109-125 King St. and 72-84 Sullivan St. The average sales price in Red Hook for 2017 was $1,643,110, according to Jonathan Miller, president of real estate appraisal firm Miller Samuel. 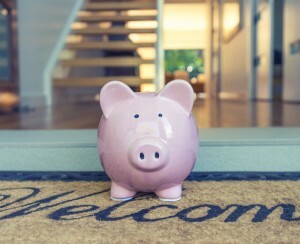 That’s up 20 percent from 2016, when the average price was $1,366,463, and up 141 percent from 2012, when the average price was just $680,583. 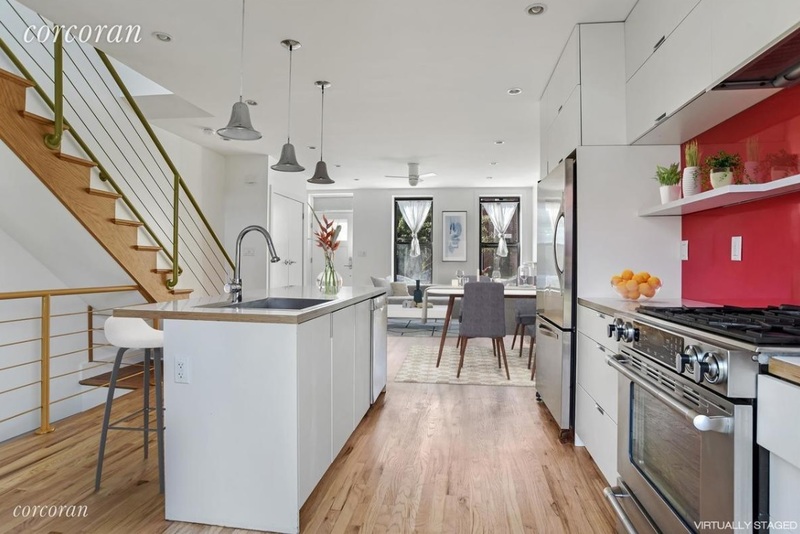 A quick search on StreetEasy shows just 21 properties for sale in Red Hook, ranging from a $1,199,999 two-family brownstone at 106 Pioneer St. to a $3,235,000 three-bedroom condo at 160 Imlay St.
Davis says that sales pricing in Red Hook varies widely, and can range from around $700,000 for a one-bedroom condo to around $3 million for a fully updated and restored townhouse. “Public transportation is a bit tricky here,” Steer says. The closest subway stop is about a 25-minute walk away at Smith-Ninth streets in Gowanus. 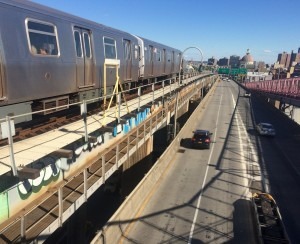 There commuters can pick up the F and G trains. As for buses, the B57 or B61 will both take you to the Hoyt-Schermerhorn G station. But it could take you over half an hour to get from Red Hook to Downtown Manhattan by bus. 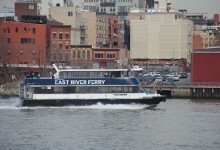 The ferry may actually be the quickest way to travel each day, depending on where you live and work. The new South Brooklyn route launched in June of last year, and will get you to Wall Street/Pier 11 in about 20 minutes. If you’re a fan of the arts, there are several galleries to explore. Pioneer Works, an arts center just a block away from the ferry terminal, offers classes, performances, and exhibitions. The Brooklyn Waterfront Artists Coalition exhibits artwork by local Brooklyn artists in a Civil War-era warehouse on the Red Hook waterfront. Chocolate lovers can visit the Raaka Co. Virgin Chocolate factory for tastings and tours, and whiskey drinkers can do tours and cocktail tastings at Van Brunt Stillhouse. There’s also the Waterfront Museum, on one of the last wooden barges still floating in New York Harbor. For sports, there's the Red Hook Recreation Area, which has basketball courts, soccer fields, and an Olympic-sized pool. You can also stroll the waterfront in Erie Basin Park behind IKEA, the former site of the Todd Shipyard, and see artifacts from when the shipyard was active. 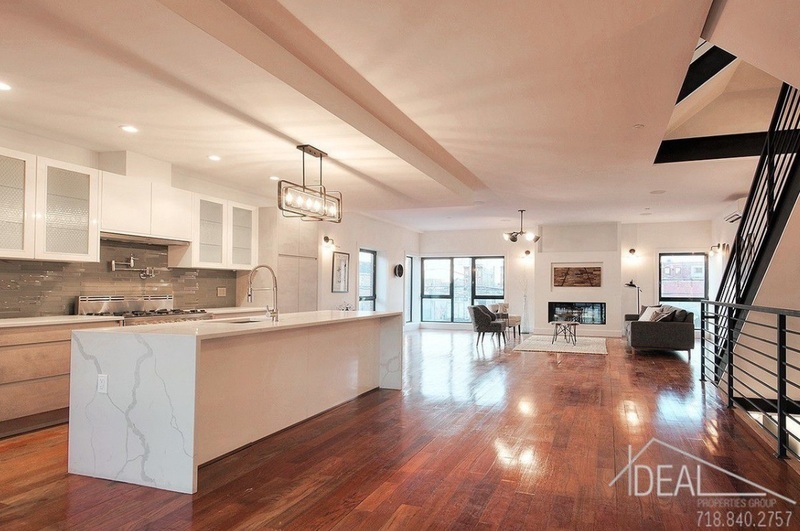 Listed for $2,795,000, this newly built two-family townhouse is currently configured as an owner’s duplex over a garden apartment. The upper level of the owner’s duplex has a 25-foot-wide open living room and a kitchen with white Caesarstone waterfall countertops. 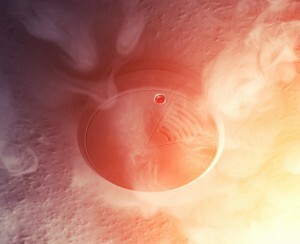 The second floor has three bedrooms and two bathrooms. The rental apartment has two bedrooms, one bathroom, and a private garden. Taxes are $1,251 a month. Listed for $1,525,000, this two-bedroom, one-bath townhouse has a two-car garage and a yard. There’s a sunny living room with oversized windows, a fireplace with a marble mantel, and a kitchen with stainless-steel appliances and a center island. Taxes are $303 a month. 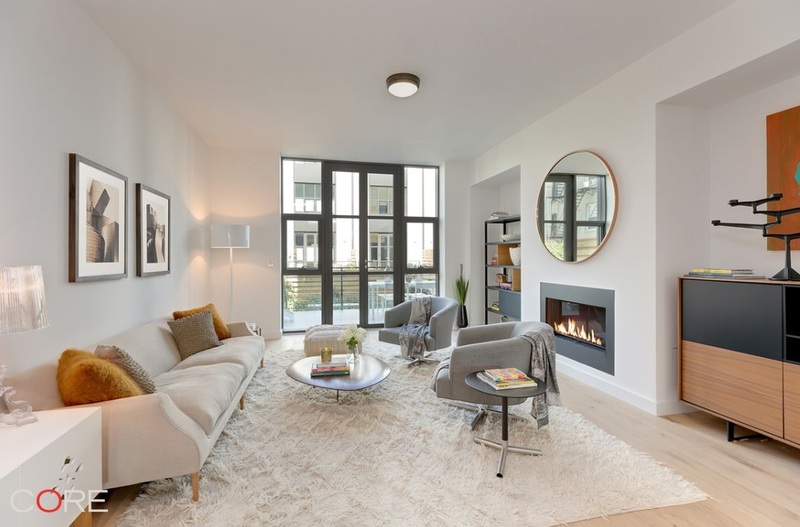 This 1,245-square-foot, one-bedroom, two-bath condo has 12-foot ceilings, a large home office, white oak flooring, a washer/dryer, and a balcony. 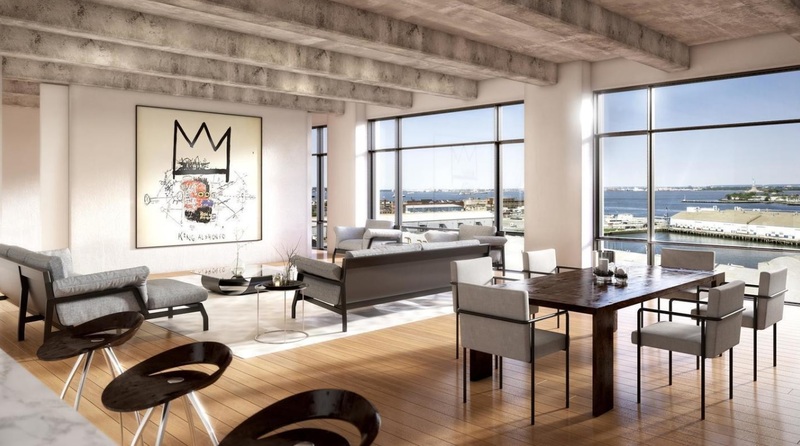 The building has a gym, a 24-hour doorman, a live-in super, storage, a bike room, and a roof deck with private lounges. It’s priced at $1,325,000. Common charges are $906 a month. Taxes are $1,220 a month. This 2,722-square-foot four-bedroom, three-bath townhouse has white oak floors, an eight-foot skylight, a kitchen with a Carrara marble island that seats five, a custom sculptural staircase, a gas fireplace, a private outdoor deck, a laundry room, and a backyard. It’s listed for $2,950,000. Taxes are $1,045 a month.